At the weekend, I went to Leeds for a Fall Out Boy and had an amazing time! We headed down on the coach, had a quick wander round the shops before heading to his to get dinner and ready for the gig! It was loud, bright, exhilarating and a wonderful night. But the other highlight of the weekend for me was finally meeting the pigs! The next morning we spent the day relaxing, watching the football and playing with the guinea pigs. 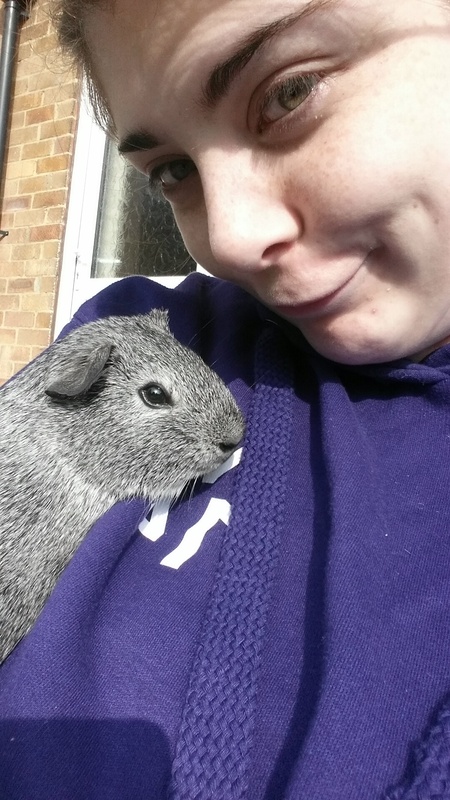 During the summer my boyfriend got two new little guinea pigs. I’d seen them a lot over snapchat but really couldn’t wait to meet them in person. As much as I love my Pammy, I’ve always wanted to look after a slightly bigger animal. 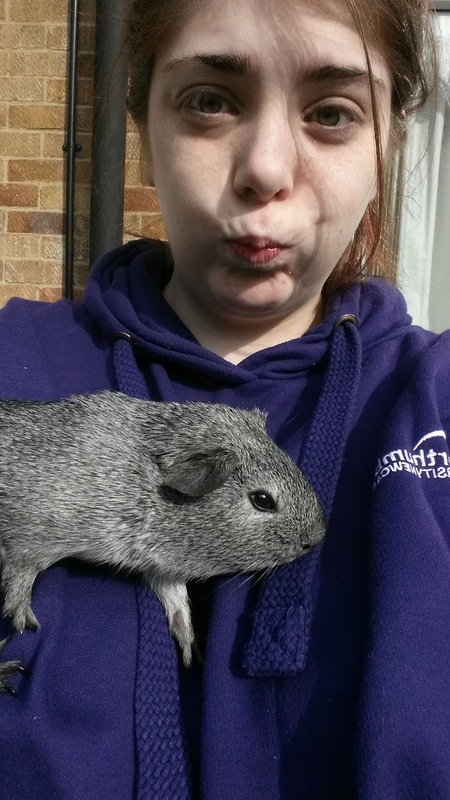 I don’t think a cat or a dog will be making it’s way into my life anytime soon but perhaps a Guinea pig or two! 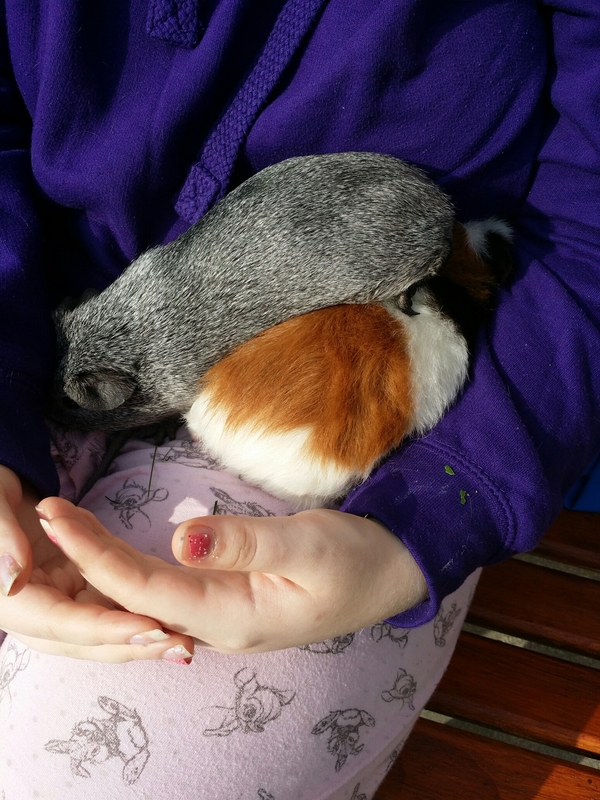 Biscuit is the grey shorthaired pig and Flapjack is the (slightly) larger multicoloured pig. 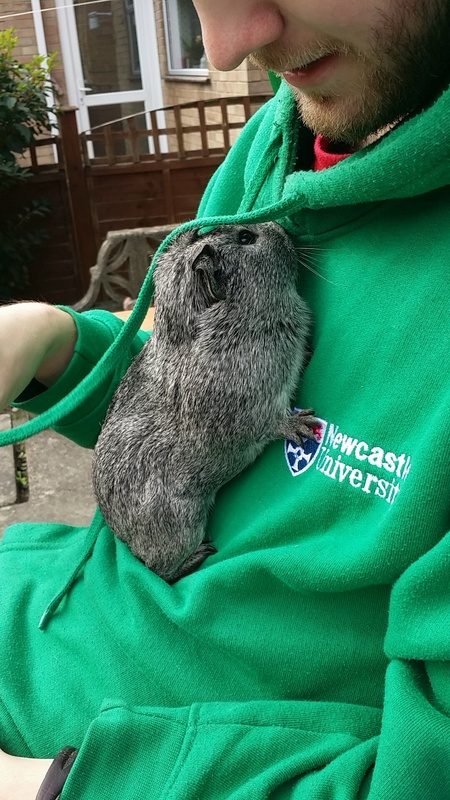 Both of them were a little scared of me but I persevered and grew to enjoy cuddling them and feeding them bits of grass and leaves. They were suprisingly cuddly and I definitely think I would love one.